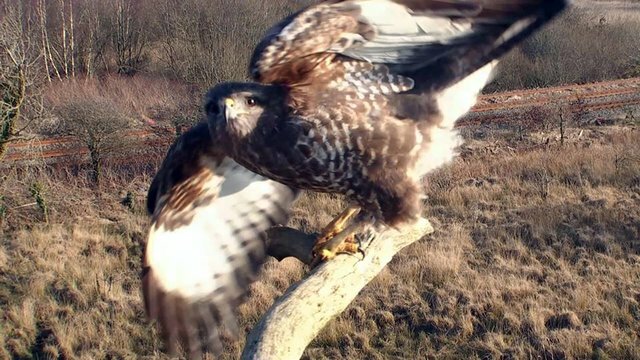 Loch of the Lowes ... FR4 is missing ... she is the offspring of Laddie and Lassie that left for migration last in 2015. She is the one who made the stunning first time trip in record time!!! So not the news any of us wanted but sadly this is where we find ourselves. If FR4 is still alive and well then it is possible (although improbable) that the tag could begin transmitting again at some point in the future, or our young osprey may be spotted in the years to come as was the case with Blue YD. I opened the Rutland Osprey Blog and what a treat to see the osprey in West Africa!!! One of the osprey has a flying fish in it's talons and you can see one of the wings of the fish hanging down! Another photo depicts how the high tide carves a relief of standing trees in the sand ... beautiful! There are many photos of osprey and other birds in the area. They found many tagged birds from Germany and Scotland. It was a pleasure to read and starts @ 1/25/16 and back through previous entries of their trip. During the latter part of this year’s trip staff members Paul Stammers, John Wright and Kayleigh Brookes travelled to Lompoul sur Mer in western Senegal – an area they had visited on a previous visit to locate 30(05), a satellite tagged female bird from Rutland who overwinters there. They were successful in relocating 30(05) amongst many other ospreys, including a bird very well know to us… Blue YD! For those of you who don’t know or remember the story of Blue YD here’s a quick summary… Blue YD is a 3-year old male bird who was ringed and tagged in July 2012 at one of the Scottish Wildlife Trust’s reserves near Forfar in Angus. He successfully migrated to West Africa that autumn and we were able to follow his movements over the following 18 months. Unfortunately his tag stopped transmitting in May 2014 at which point he was in North Yorkshire, having undertaken his first return migration to the UK. As you can see Blue YD’s tag is still clearly attached despite no longer transmitting. The tags are held in place by a biodegradable cotton thread which is sown through the two straps that harness the tag to the bird. This thread will eventually break so at some point in the next few years the tag will fall off. There’s nothing new to report on FR3 who remains at home within the confines of the bolongs (creeks) to the north of Bulok. The fact that our young osprey has been so settled has worked in our favour as it has allowed Chris Wood, our friend from the Rutland Osprey Project to catch up with FR3 on a number of occasions over the past few months. 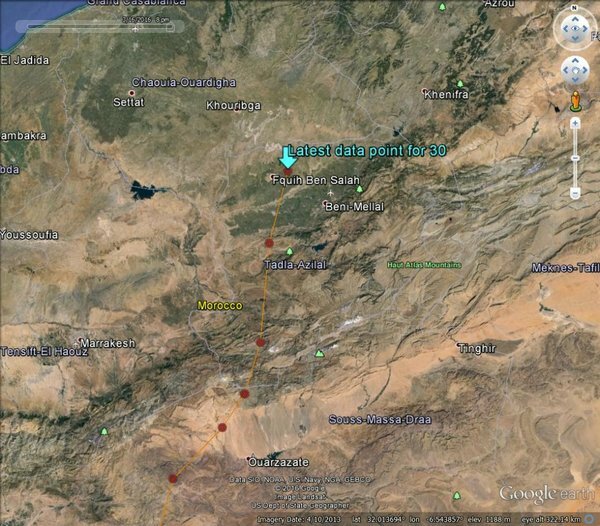 The latest data from 30(05)’s tracker shows that she is now in Morocco, just north of the Atlas mountains! Before the new data came in this morning, the latest information we had for 30 was her roost site on 14th March (see map below, or click here > http://www.ospreys.org.uk/working-my-way-back-to-you/ ). In the two days since then, she has travelled a further 536 miles (864km). Love it ... thanks Ferenz! I so, so, so admire the Osprey and their migrations! 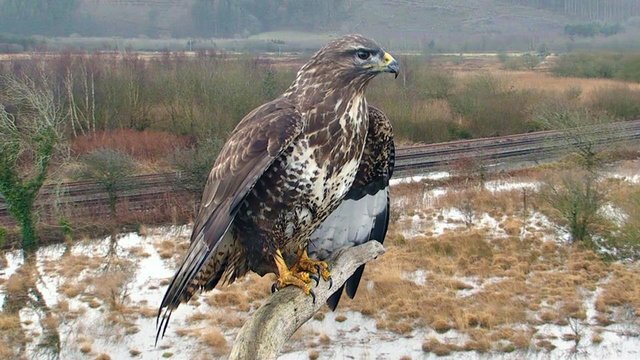 We are all over the moon to announce that our female LF15 from last year has safely returned to the nest at Loch of the Lowes. She flew in at 16:42 this afternoon, surprising us all by her very early arrival – 13 days earlier than last year. Usually the male is the first to return to the nest site, so this year upon his return (hopefully!) our male LM12 may find a lot of his work is already done! Last year he arrived on the 22nd March, so any day now we are hoping to have a pair of ospreys back at the reserve. Glad Lassie is home! Please come home safely Laddie! Thanks Birdsong. No idea about fish with cam being down but she is still sitting there. our breeding female, Maya, had returned! Many thanks Ferenz for the "O"
Loch of The Lowes - First fish of the season!